Start out from Grey Mare’s Tail Waterfall heading by Loch Skeen and Dalveen Pass en route to Drumlanrig Castle and the ruins of Kenmure Castle. Then enjoy Loch Ken and Loch Trool for a paddle, hike or cycle ride. 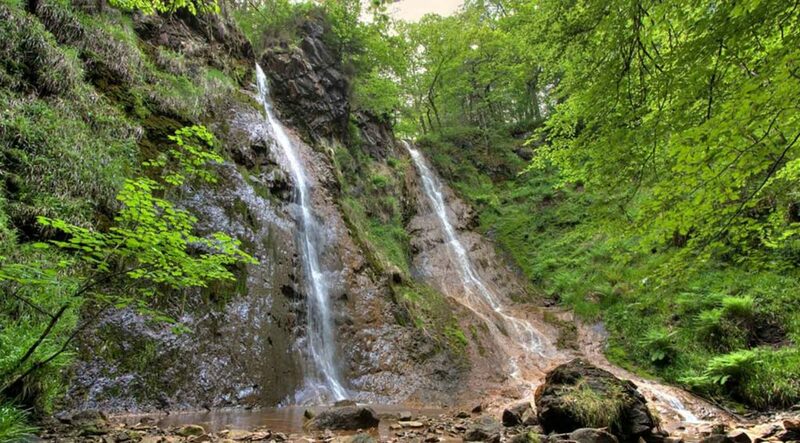 The dramatic waterfall plunges 60m down into the Moffat Water Valley. Carved by glaciers it unfolds further up steep slopes past the waterfall to the picturesque Loch Skeen. Towering above the loch are peaks with breath-taking views extending to the south. As well as rare upland plants, you may see ospreys fishing in the loch. Dalveen Pass is the most southerly and the longest pass within the Lowther Hills. There is very limited traffic on the road so you can take your time to admire the stunning scenery. The twists and turns on the road make it hard to believe part of the journey is along a former Roman road. The castle is the impressive seat of the Duke and Duchess of Buccleuch and Queensberry complete with fine paintings by Rembrandt, Gainsborough and Reynolds, and furniture and silver collections. The House has a superb setting surrounded by gardens and a 90,000 acre estate. 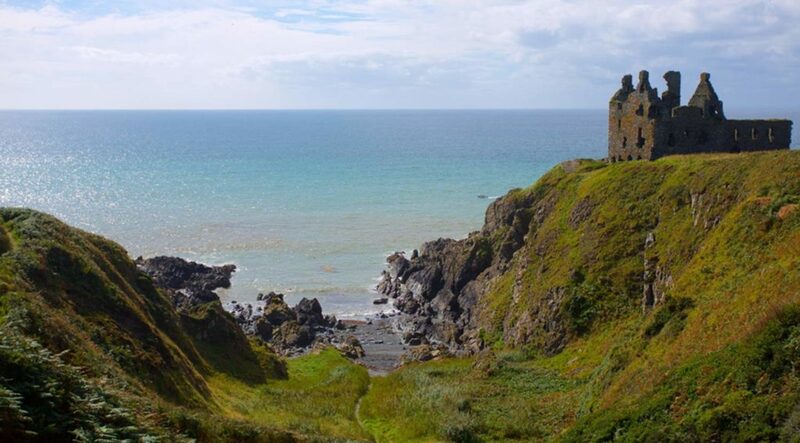 The commanding presence of the castle ruins dating back to the 16th century stand on a rock promontory. 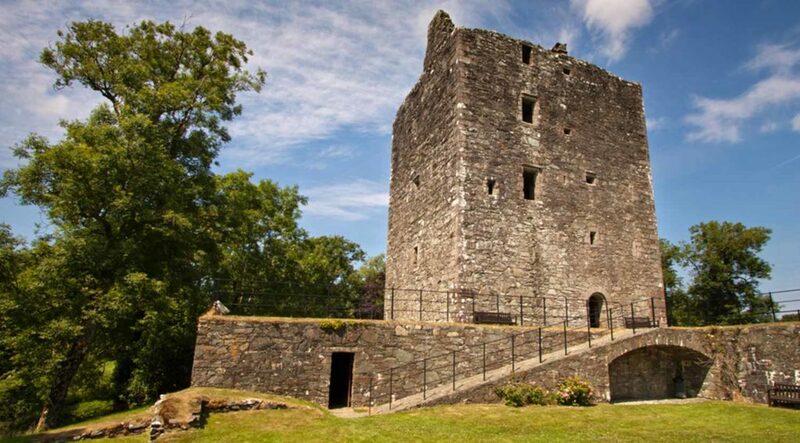 A square stair-tower rises at one corner of the castle and there is much fine decorative stonework including corbelled stone adorning the top storey. The walls are pierced by shot-holes. On the eastern end of the Galloway Forest Park, this unique area of the Glenkens covers the Ken Valley including the 9 mile long Loch Ken surrounded by a number of small scenic villages. The Loch is used recreationally for water skiing, fishing, and sailing, with Glenlaggan Lodges and Loch Ken Marina catering to visitors. The area offers some of the finest scenery in southern Scotland. 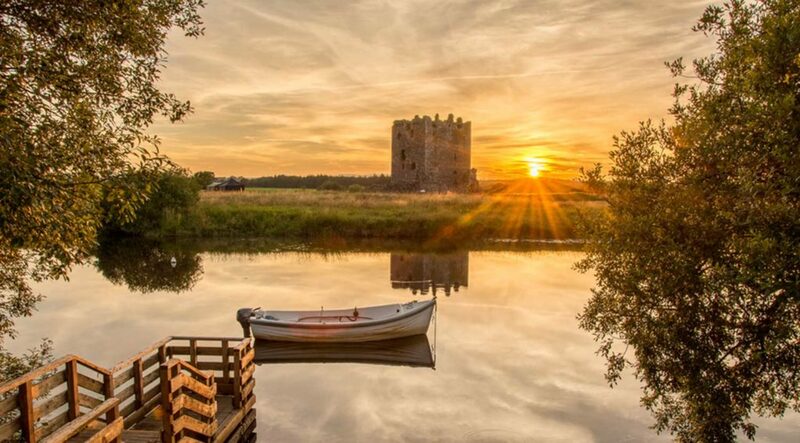 Lying in the heart of the Galloway Forest Park it offers the visitor a great setting to explore the wonderful scenery as you circle the loch. On the hillside is Bruce's Stone, commemorating the minor engagement between the Robert the Bruce and supporters of the Comyn faction and its ally Edward I. This trail is all about the great outdoors. 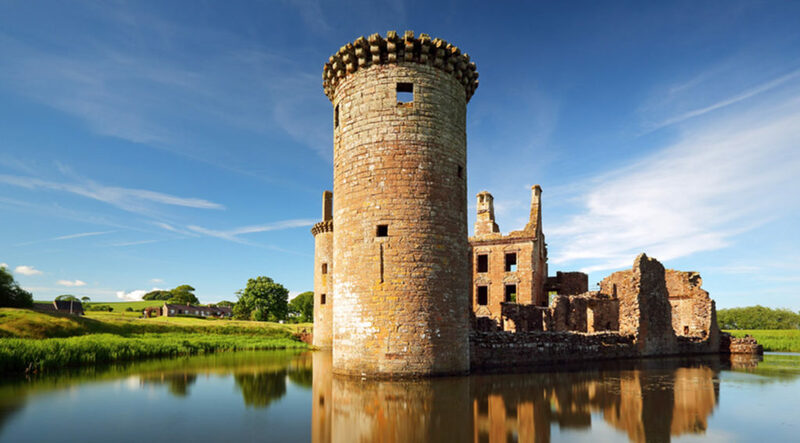 Starting from Grey Mare’s Tail Waterfall with the surrounding nature reserve and nearby Loch Skeen, it takes you through the Dalveen Pass to the imposing 17thc Drumlanrig Castle and on to the ruins of the medieval fortress of Kenmure Castle. Then on to two lovely lochs – Loch Ken and Loch Trool. Paddles and / or good walking shoes and maybe a bike are holiday essentials. 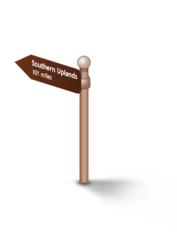 This is a trail designed to enable you to admire the stark beauty of the scenery of the southern uplands. This is a landscape forged by ice with lochs, waterfalls and steep sided valleys. Whether driving through the Dalveen Pass, walking or kayaking some of the fast flowing streams this will inspire all types of visitor. The distinctive pink sandstone used to create the stately home of Drumlanrig Castle led to it being called the 'Pink Palace'. Building was started in 1679 by the first Duke of Queensberry, William Douglas, on the site of an ancient Douglas stronghold. The castle has 120 rooms, 17 turrets, four towers and inside an impressive collections of Old Masters. 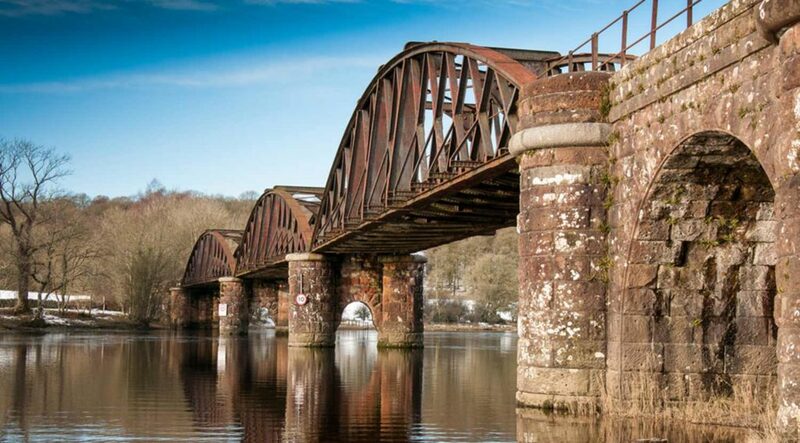 Combining acres of forest and green spaces interspersed with tranquil lochs this beautiful part of lowland Scotland is ideal for gentle walks or bike rides. Take to the water of the lochs for yachting and canoeing or try windsurfing or go mountain biking on one of the trails.